If you do a search on any job board right now, you will find a plethora of e-learning development positions available for all levels of experience. Virtually all companies, including the big boys such as Google, Apple and Amazon have e-learning developers on staff. There are also a large number of contract and freelance developer jobs available should you want to earn some extra money on the side. According to the a recent report published by the E-learning Guild, the average e-learning developer has a salary of $77,682. In addition, freelance E-learning developers can often command $50 an hour or more. Yes, money isn’t everything when choosing a career, but it is always an added bonus when you are compensated well for your work. There are certain jobs that are well suited for a remote/work from home set up, and e-learning development is one of them. In general, an e-learning developer just needs access to a computer, proper software and access to SMEs/systems/content in order to be able to do their job. I often see job postings for remote positions, and have actually spent a portion of my career working as a work from home developer. In addition, as I already mentioned in reason #2, there are a large number of freelance opportunities available. Most of these positions can be worked from anywhere in the country, or even the world! 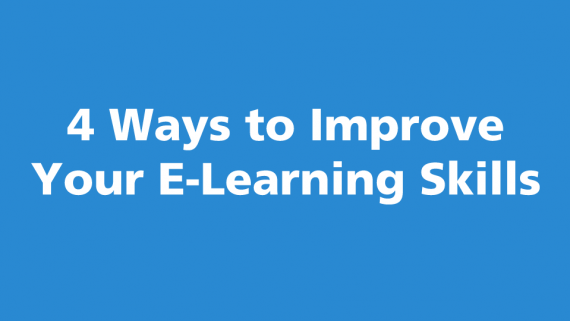 In my 10 years of working in the field of e-learning, I have seen the tools and techniques that are used in e-learning development quickly evolve. A short time ago Flash was king, so having experience in Flash development was a must. Now rapid e-learning tools such as Captivate and Articulate Storyline/Studio are the standard, while HTML5 and mobile learning are also growing in popularity. 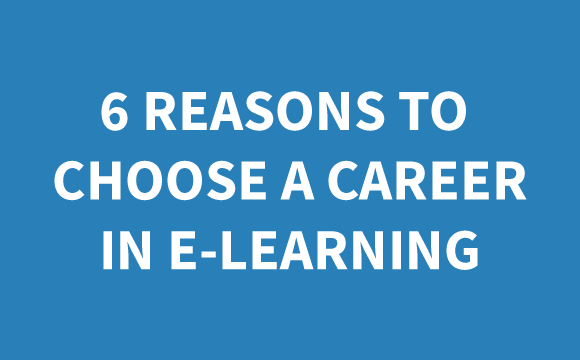 If you choose a career in e-learning, it is almost guaranteed that you won’t ever get bored. You will constantly be challenged to learn new skills and software in order to keep pace with the ever changing landscape. When you work as an e-learning developer, you will wear many different hats. On any given project, you could potentially find yourself interviewing a subject matter expert, writing a script, recording narration for your course, creating graphics in Photoshop, working with e-learning authoring software or writing HTML. There are few other jobs that will allow you to touch so many different things on a daily basis and that to me is one of the biggest reasons e-learning is such a satisfying field to work in. If you choose a career in e-learning, one thing that you can count on is having support from an amazing community. From the various groups on LinkedIn, to local E-learning Special Interest Groups organized by ASTD, to organizations such as the E-learning Guild, you won’t find a shortage of professionals to network with or learn from. The e-learning community is also very good about sharing resources and knowledge. A quick search on google will turn up countless blog posts, tutorials, tips and templates that will help you become a better developer. In addition, there are many E-learning conferences to attend where you can continue to grow your network and knowledge. These are the reasons I joined the Instruction Design/Elearning field. I recently received my Masters in Instructional Technology. This field isn’t an easy one to break into. 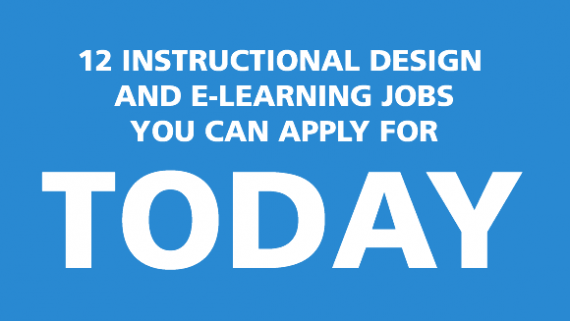 A lot of the job postings are looking for more experienced Instructional Designers. Do you have any tips for new comers in this field other than volunteering (as this tends to be the common answer)? Thanks for the comment. I definitely understand your dilemma, as most employers are looking for candidates who have experience. One thing you can do is consider trying to do some freelance work on the side. Sometimes these side jobs don’t require as much experience. Also, if you aren’t already a member, you may want to see if there is a local ASTD group in your area. They usually have monthly meet ups and it is a good way to network and meet potential employers. If you are a user of Articulate Storyline, consider participating in their monthly/weekly challenges. It’s a good way to build up your portfolio (even if you don’t use Storyline you can still see what their challenges are and try to build something in the tool of your choice). Finally, you can consider submitting your profile to a staffing company such as ClarityConsultants.com that specializes in placing Instructional Design/E-learning professionals. Good luck and I am sure your ideal job is just around the corner for you. Thank you for your reply these were some really good suggestions. I will definitely look at the Storyline contest. This will be a good way to update my portfolio.